"Chain.io's technical prowess and industry knowledge are unparalleled," said Rob Garrison, CEO of Mercado. "This partnership allows us to connect with a broad range of ERPs and operating systems through a single integration instead of having to undertake multiple, expensive integrations." The benefits of the partnership will help both sides to drive further change in a historically slow-moving industry. 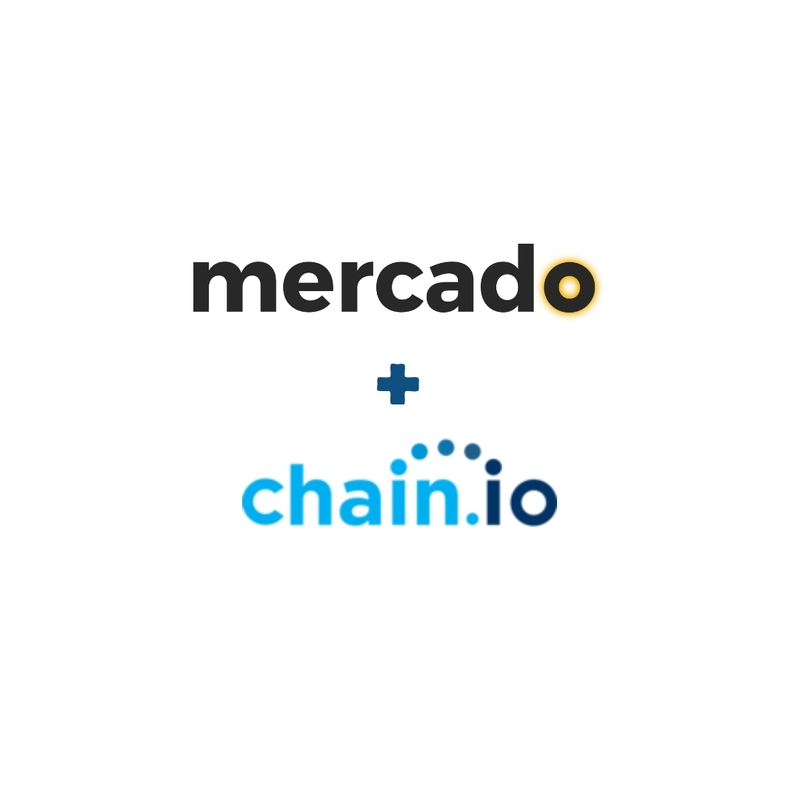 "We're excited to add Mercado to the range of offerings available to existing Chain.io customers," added Brian Glick, CEO of Chain.io. "Our vision for a digital supply chain involves connecting ‘best of breed’ systems throughout the industry, and Mercado's collaboration tools are a vital first touch point as many of our customers move toward creating a truly digital and connected supply chain." The partnership deal is the latest in a series of investment deals between Mercado and leading supply chain businesses over the past few months, as the start-up looks to further expand its platform’s capabilities. As the preferred integration partner, Chain.io's services will be embedded as an OEM offering within the Mercado suite, meaning customers continue to have a simple cost model and single invoice experience. Mercado is a supply chain platform, which digitally connects importers with their entire trade ecosystem including Suppliers, Manufacturers, Providers, and Carriers. Headquartered in Dallas, TX with operations in Asia and the UK, Mercado offers a suite of solutions for importers to save time and expense, while increasing sales. For more information, visit www.mercadolabs.com or contact Mercado at support@mercadolabs.com. Further information on the partnership, picture and interviews can be obtained through the contact details below.